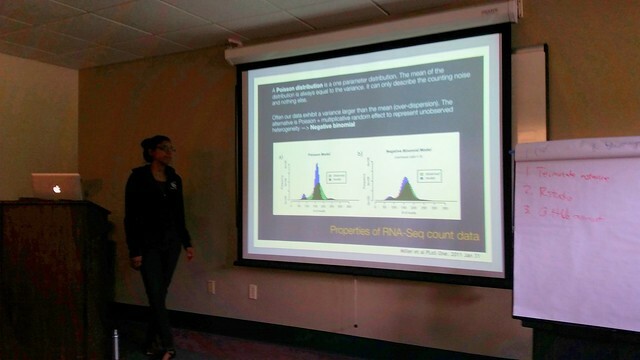 HSPH Bioinformatics Core offers regular short courses, Introduction to RNA-Seq, ChIP-seq, Unix and R courses as well as in-depth NGS courses, Software and Data Carpentry, version control, downstream analyses in R. Selected only one individual. Emphasis with getting people to come discuss before starting a sequencing experiment. 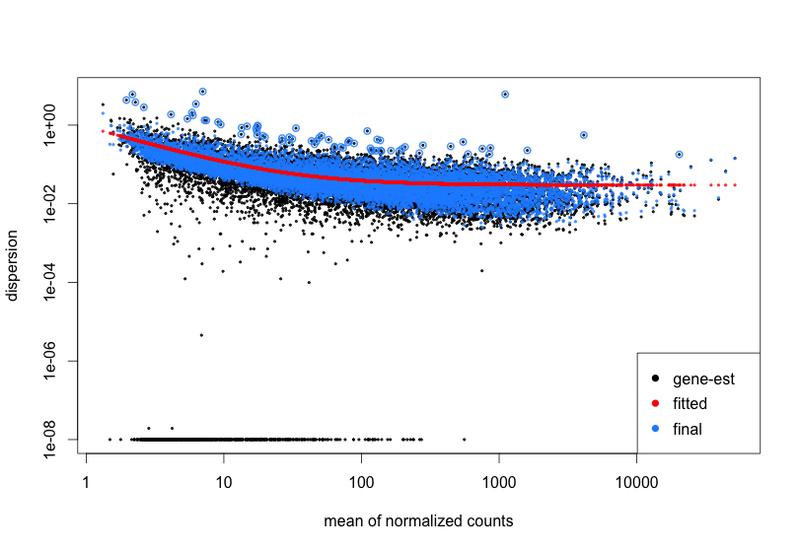 Really awesome slides and presentation discussion of intricacies of RNAseq workflow, highlighting Poisson distribution vs. negative binomial distribution. Summary: Use different tools. Understand underlying assumptions and math associated with each model. Compare. Have robust design and number of samples. Validate your results with additional experimentation, e.g. Nanostring or qPCR (old). Open RStudio, navigate to the directory where you cloned the repo where the .RData file is, then set working directory. Can be done with command or from menu in RStudio. Loading complicated ExpressionSet .eset object. 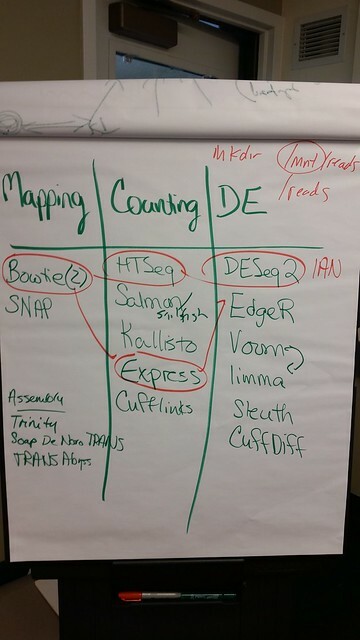 A clunky process of getting data into this structure, so we just load a saved .RData object here. Instructions for getting your raw count data into this object can be found in the DESeq2 vignette. 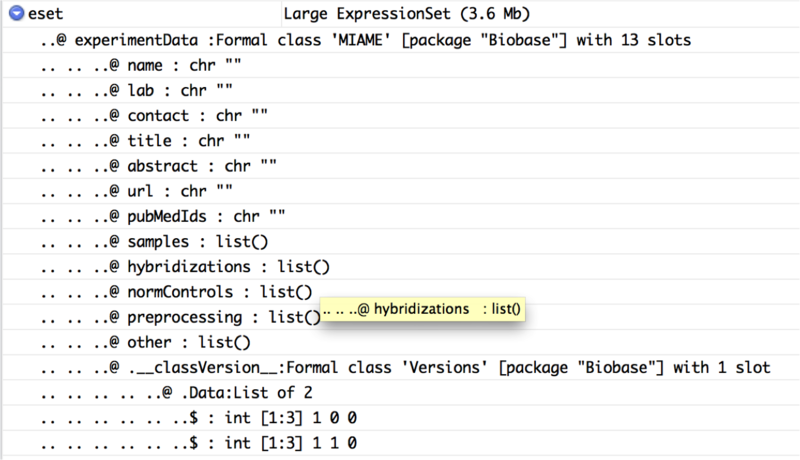 Also, use library(BioBase) and ?ExpressionSet. 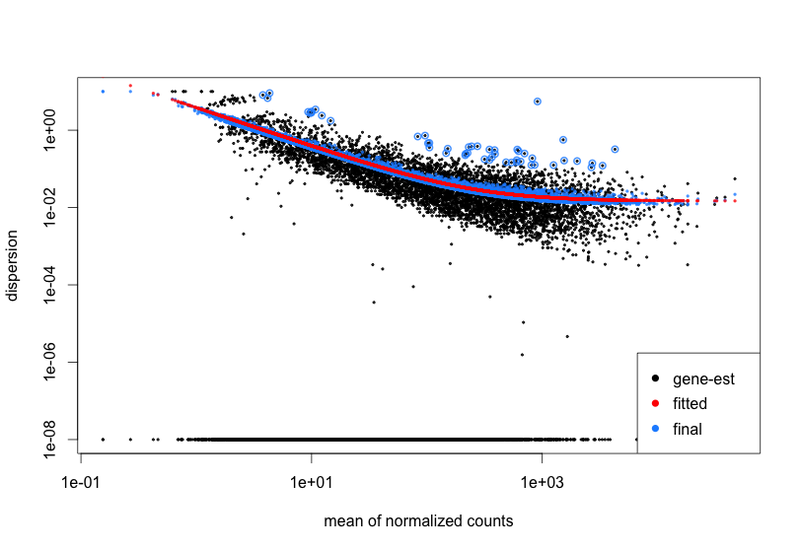 Dispersion is a parameter that estimates variability within negative binomial distribution. 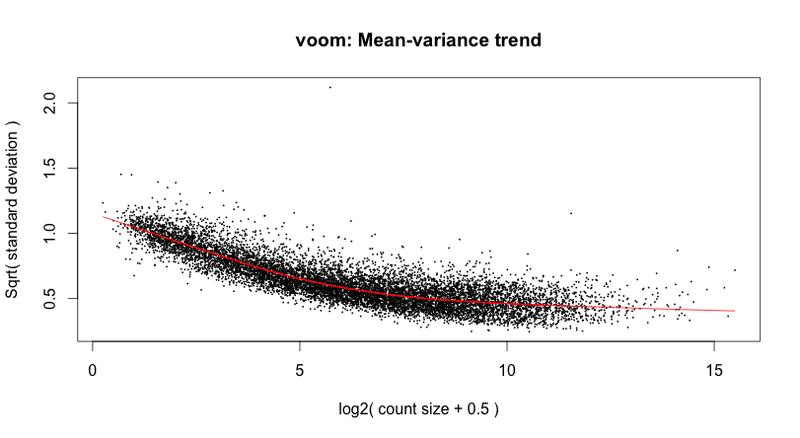 Analagous for variance for normal distribution. 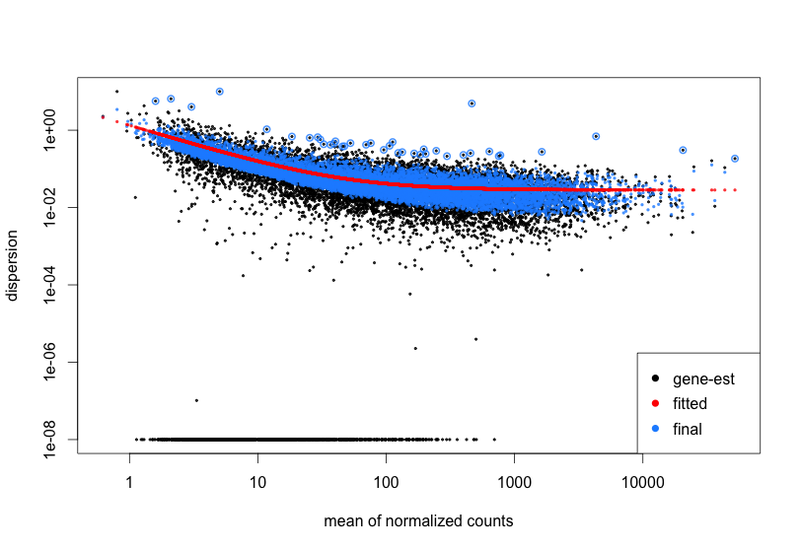 Because never sampling randomly, dispersion does not penalize differences from mean. Why does the trend look the way it does? 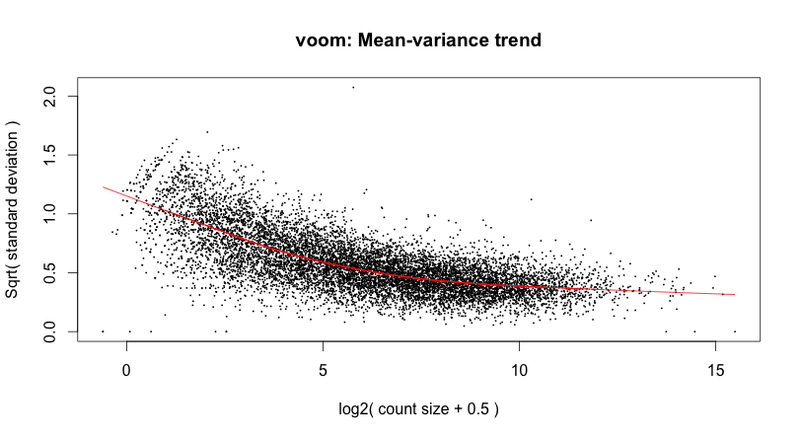 Why does it trend asymptotically? 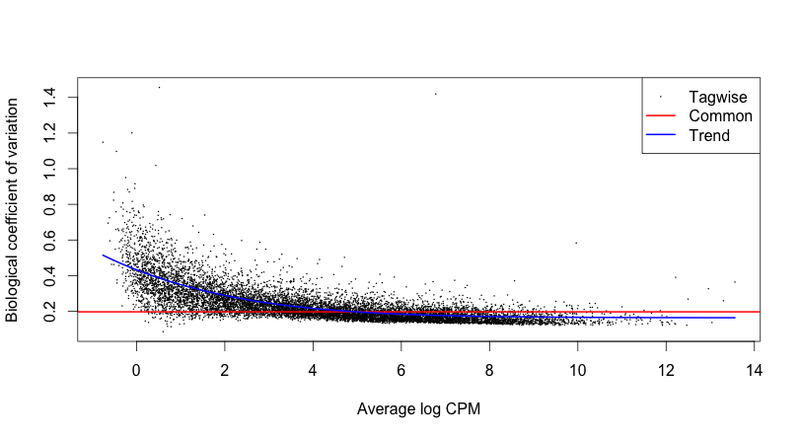 Lower end lacks statistical power towards low end. 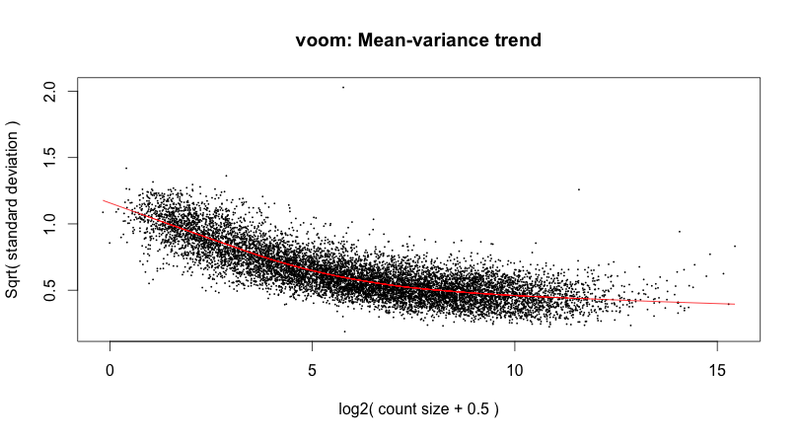 Dispersion estimate is built-in to the DESeq model. Decreasing dispersion will result in more false positives. Shrinkage is greater below the line than above. Interesting discussion including point that people running these analyses are sometimes blindly running packages and describing in methods, e.g. “DESeq2 was run with default parameters with version y”. These packages have been designed to be easily run, code is not difficult and can be run without any understanding the assumptions and models running behind the scenes. Instead, really understand what is going on and try a few packages. Look into the data objects and look at these dispersion estimates. In methods, include something like “I used DESeq version x and EdgeR version y. Results were similar using MDS.” Show overlaps between packages. Which genes cluster together? 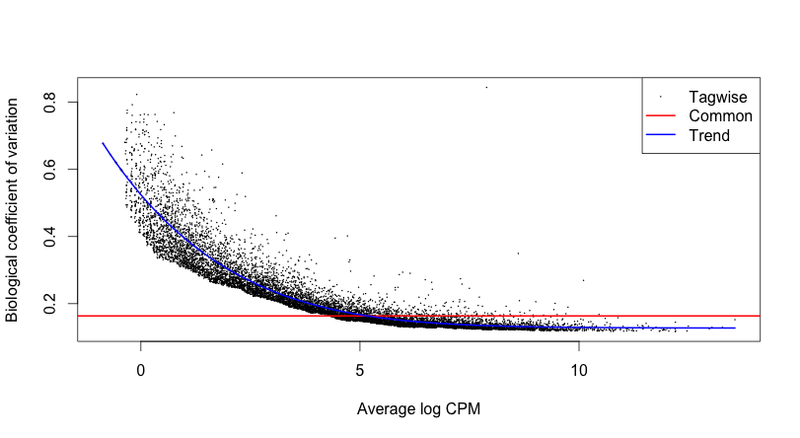 Confidence from multiple approaches and discussion demonstrating understanding for why genes were chosen based on confidence in where they lie within the mathematical models underlying the packages used. If someone has a small number of replicates, beware of the caveats of these particular software tools and the impact on final results. 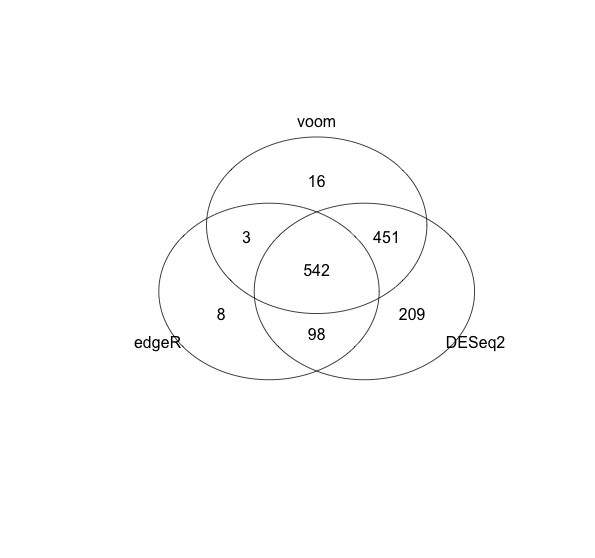 DESeq2, voom, and EdgeR can handle lower replicate numbers. But, confidence in results will be low. The number of replicates is, of course, based on funding constraints. 48 replicates might be too much. But, 5 or 6 is optimal suggested number. 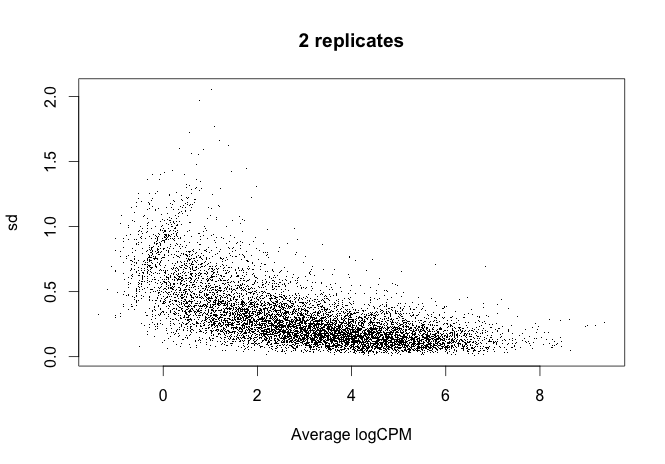 By increasing number of replicates, increasing certainty for each individual gene. Tools will work better because they are based on this underlying assumption. More reliable distribution, better answers. This entry was posted in Bioinformatics, Genomics Workshop. Bookmark the permalink.